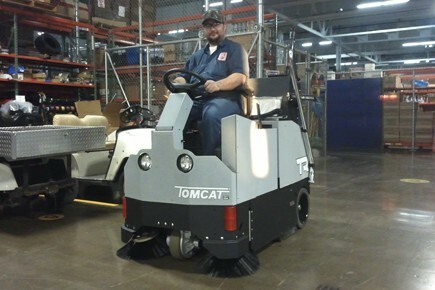 Tomcat’s Model TR ride on floor sweepers are manufactured tough for commercial & industrial floor sweeping, with a fully floating self adjusting main broom & independent side broom system for the edges packs the dirt & debris into the easy empty hopper, lighter dust is controlled with a powerful vacuum system & easy clean cloth filter. 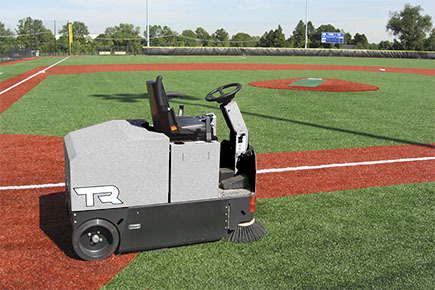 An electrical filter shaker allows the operator to keep the filter clean for dust free sweeping for up to 6 hours on a single charge. 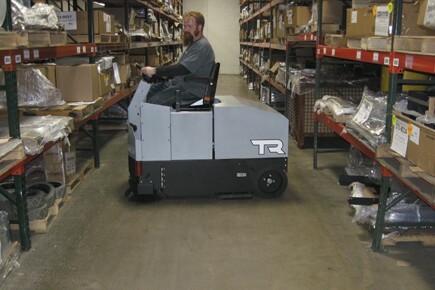 The Model TR was designed & built with a solid steel chassis for industrial applications, foundry’s, paper mills, saw mills, mines, concrete manufacturing & bulk powder plants. 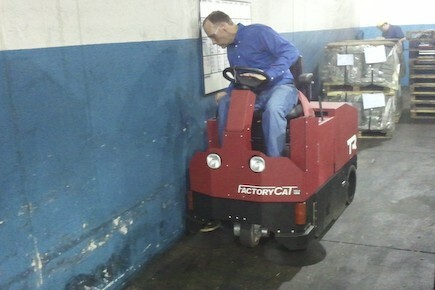 We can hire a Model TR from 1 Day to 5 Years with fully inclusive maintenance for a dust free environment. 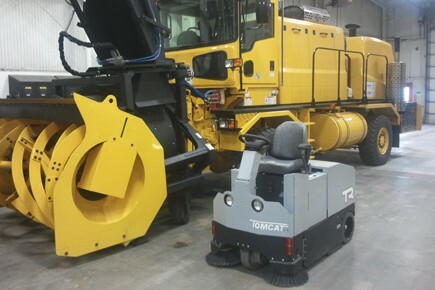 This video shows the powerful TR sweeping in a very dusty factory environment, the large main broom sweeps the larger dust and debris into the hopper, while the dust is controlled with our unique bag house filter. 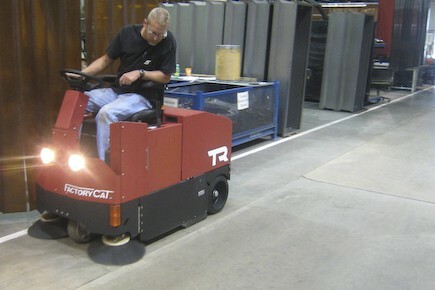 Large area sweeping with the TR ride-on floor battery powered floor sweeper is simple fast and effective. 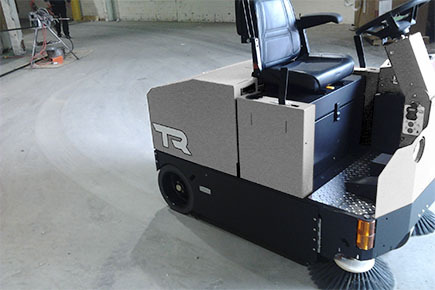 Rugged ride on floor sweepers which deliver unrivalled performance in its class, the TR has a solid steel chassis, high-power motors, large battery pack and a large capacity 1 micron polymer felt filter for great dust control. 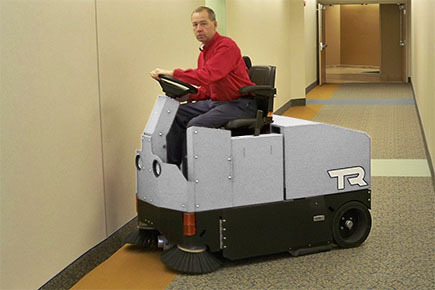 The TR is equipped with a high back seat with twin arm rests, easy empty hopper with wheels & a flashing beacon for operator comfort & safety. 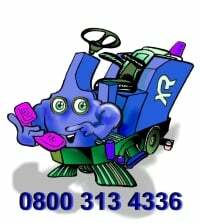 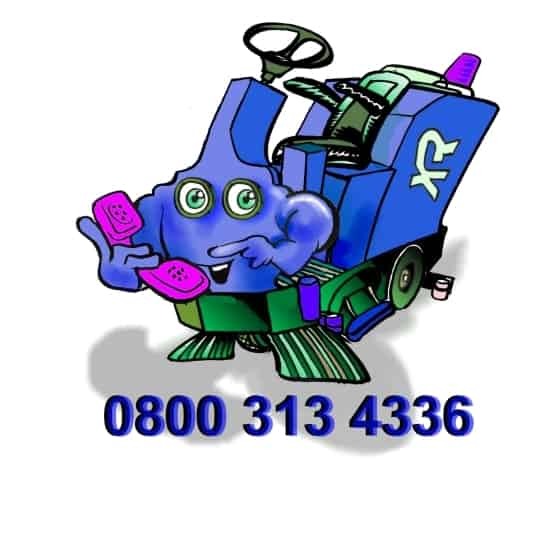 For more information on the TR or to arrange a hire, call 0800 313 4336 or use the email contact form below.